Been a minute since my last post. For the past couple of years I’ve been heads-down building KITE from pre-seed to viable business. Today is our second-anniversary from incorporating, so I thought it might be helpful to share some learnings for fellow entrepreneurs and those pursuing innovation in their businesses. January 22 is our official anniversary. 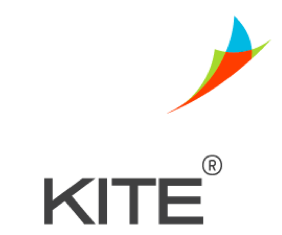 In 2013 KITE incorporated just weeks after white-boarding a mobile/software solutions with co-founder, Mark Hendrickson, and weeks before SXSW where executives from Unilever, GE, The Home Depot and Pepsico trialed our Minimum Viable Product. We learned a lot by looking over our first users’ shoulders and into the data feedback loops. We maintained a rigorous commitment to shipping product updates with features informed by these learnings. By 2014 we were able to invite our first paying customers on the platform, grow the team from revenues and build a great solution. We’ve assembled the most experienced, talented and dedicated team of experts and advisors for addressing how F-1000 enterprises engage with startups to solve everyday and intractable problems. Below are seven lessons and axioms acquired building a startup in the past two years. Your brand is your founding team and vice versa. Every first hire is a reflection of the values you bring to your business. Will your brand reflect quality, intelligence, passion for customer success, quants and data nerds, outcomes, etc.? I’ve been fortunate to attract some amazing talent who share our passion for the startup ecosystem, and therefore will never “short” it for near-term optimization of any kind. When there’s a shared mission you can develop a short-hand for how you behave and treat others, what great looks like and are driven to succeed–you reach higher and push harder to make the impossible reality. This translates into future generations of hires, becomes codified into culture and represents your brand. Stick to a strict “No-A-holes Rule.” Unless you want to build and A-hole brand and company per the last point, don’t let jerks into your business. Not as contractors, partners, advisors, investors or new hires. Probably deserves a post on its own, but the short version is “don’t” and that we’ve been able to progress without the distraction of managing unproductive relationships. This isn’t the same as trying to create a culture around “nice” because most A-holes exploit this vulnerability. It’s about surrounding yourselves with the best people you’ve observed behaved admirably in challenging situations or pattern as such. Shipping isn’t just for Product, it’s for Business. The pace, consistency and focus on shipping product updates set by Hendrickson flowed naturally into our communications, sales and business development. We each felt a responsibility and accountability to ship to our commitments. It’s a build on the brand/first hire lesson, but merits its own lesson. Don’t out-hustle your product. This was a great piece of advice I received from a friend, advisor and now board member. It’s a nice balance to the “Shipping Business” lesson. Because KITE started with a vanity of riches in terms of big corporate users, we were able to use insights from their decision-making and usage to prioritize and inform our product development. We also used that product maturity time for “market development” versus “business development” or sales. We evangelized, found our early advocates, got coaching from every meeting and engagement and eventually started shipping a product mature enough to create a successful first-use experience and to charge for access. Reboot all assumptions about how to run your business. Starting a business today is radically different than even 3-years ago. The stack, tools, programming environments and frameworks, processes, talent, funding, workspace and nearly all aspects of building a company have changed. Embrace and exploit this reality like Google has. Don’t be afraid to test techniques and programs that worked in previous businesses, and adapt when the new culture and systems accept or reject them. Nothing substitutes for Execution. No press release. No big client announcement. No first-mover advantage. Nothing can substitute for the truth evidenced in execution. There are dozens of other lessons and insights we learned along the way. Hopefully I’ll find time to post a few of them in this space as we hustle to our next milestones and anniversary. In the meantime, feel free to add some of your own lessons and insights below. This entry was posted in Advertising and tagged entrepreneur, Innovation, startup. Bookmark the permalink.